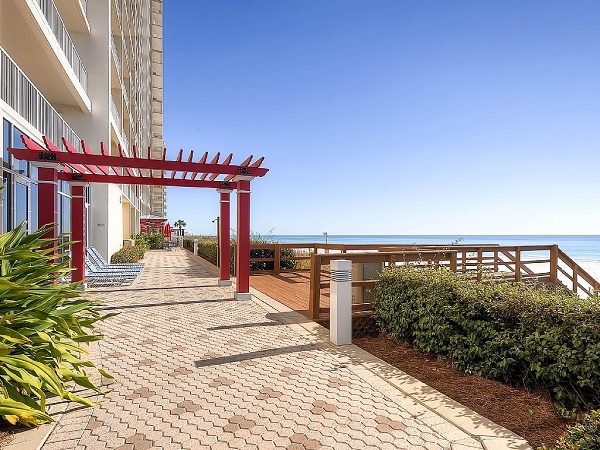 This condo is one of the nicest decorated condos on the beach great taste and quality of decor is hard to show everything in the Pictures you will not be disappointed with our condo. Our 2 bedroom 2 bathroom condo sleeps 6 with a king bed in the master, a NEW King bed added to the guest bedroom, and a sleeper sofa. Resort Wifi is available at no cost to our guests. 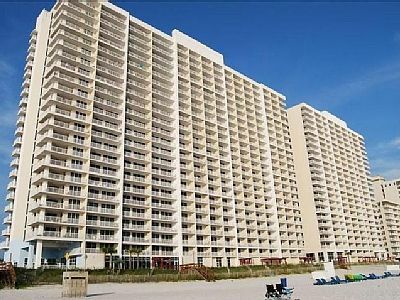 Majestic Beach Towers is one of the newer resorts with the best amenities on the beach. A wonderful destination for every member of your family. 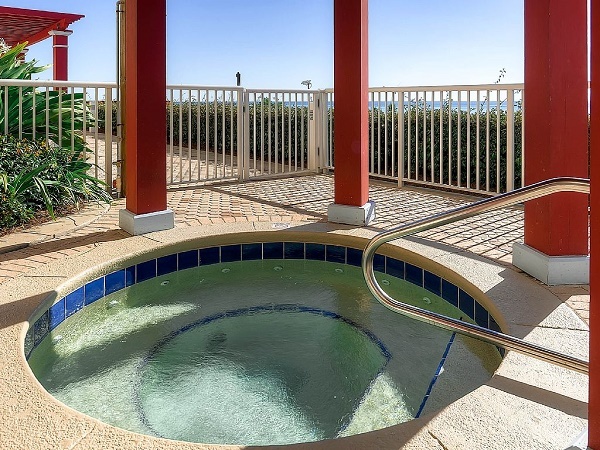 This resort is convenient to restaurants, shopping and area attractions. 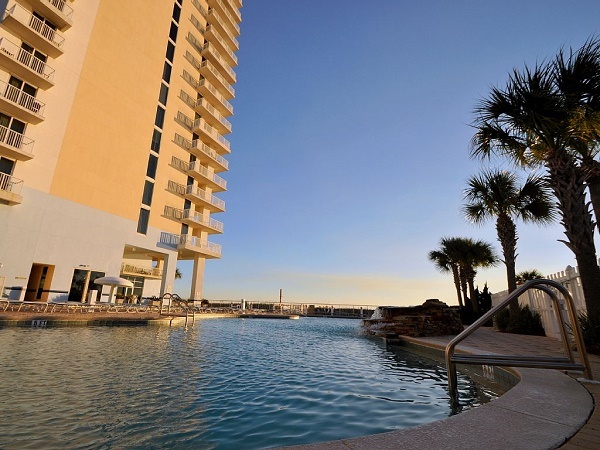 Majestic Beach Towers amenities include: 2 indoor heated pools, 2 outdoor adult pools, 2 children pools, 3 hot tubs, a pool side movie theater (On site movies every Tuesday afternoon and Friday evening), tennis courts, state of the arts fitness center with every type of equipment and free weights you could ever want plus a men and women separate sauna and hot steam located in each locker room. Tower 2 has a video arcade in the lobby. Security located on property 24 hours a day, 7 days a week. The Majestic Market has Starbucks, beer, wine, soda plus made to order breakfast, sandwiches and sweets. 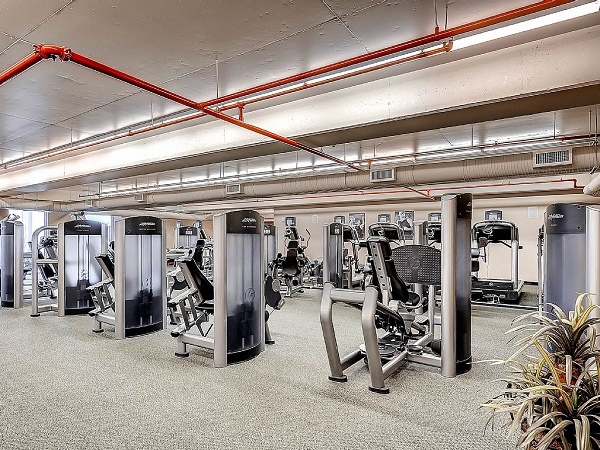 On site gym use is not included in rental rates but available by the day, week or month. Ask for rates at the front desk. 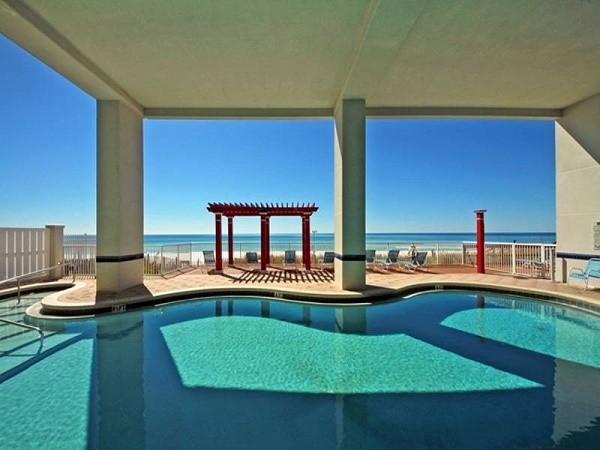 As a completely satisfied snowbird, this condo is amazing--beautifully decorated, very comfy and spectacular views. 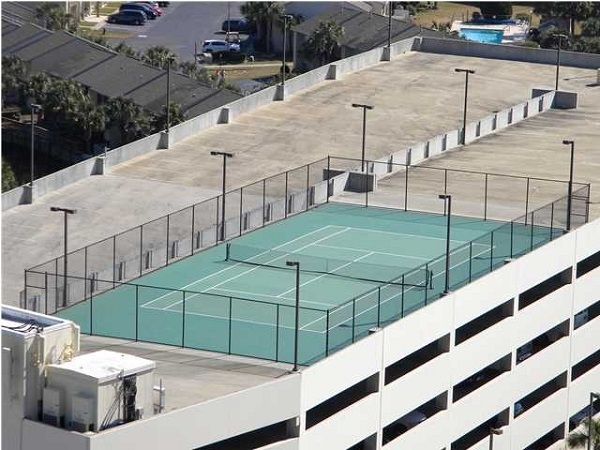 Very clean condo and well- maintained. Bathrooms are exceptionally awesome as was the balcony with the most comfortable outdoor furniture. 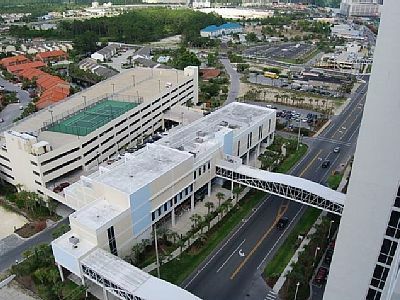 Any issues we had were quickly resolved--kudos to 4* management--Lonnie and Whitney thank you for your attention! Only thing thing that I would change would be that the pantry closet be made available to store food and items necessary for a lengthy stay. We have already reserved for next year. 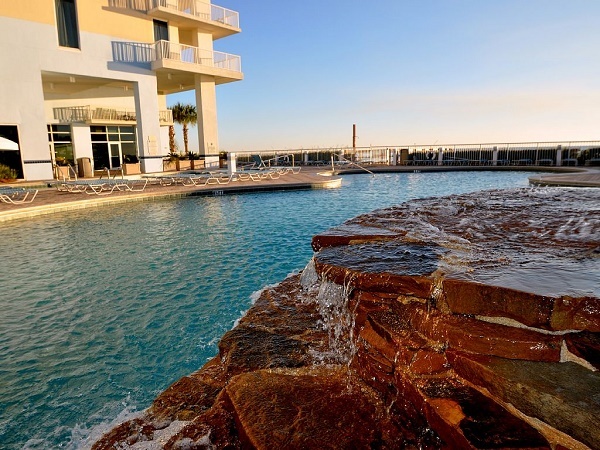 Thankfully, Majestic Resort was spared from Hurricane Michael with only minimal damage. Hopefully the Tower 2 walkway, the painting of the property and the Front Beach Road construction will be completed for returning snowbirds. I would recommend this unit for a relaxing, enjoyable experience. Highly Recommend! Every detail thought if! Overall the room was clean and well kept. Our armbands and parking pass was not in the room when we got there so I spent an hour upon our arrival getting that taken care of. I felt like there could be better communication by the rental company as far as parking and unloading of our luggage. We were extremely satisfied and overwhelmed at the extent of details and thought the owners show to their guests. We felt as if we were home. The unit was beautifully decorated and comfortable and the design was suited so well for beach views! I loved the main bath and the dressing room was so convenient for my husband and I to bathe. Our 90 year old father loved taking a nap out in the rocker on the patio listening to the waves crashing! We had trouble getting the oven to turn off which Im sure was my fault as I am not used to the convection/regular oven combo. A suggestion might be to leave basic operating help for that. We figured out it would turn off if you use the timer. The beds were very comfy. The decor was professionally decorated. There were all the things we needed and more. It was the greatest experience and we enjoyed our stay so much! After the death of our only child last year, this was so very therapeutic and healing for us. There is nothing more relaxing than floating in that turquoise water or hanging out in the splendor of the condo or dining out at one of the great seafood restaurants. There were many to choose from. We enjoyed Capt Andersons cruise and gulf marine world which we chose for our dad. It was perfect for him and he so enjoyed it. Panama City is still my favorite place to visit. Thanks for all the wonderful memories made. 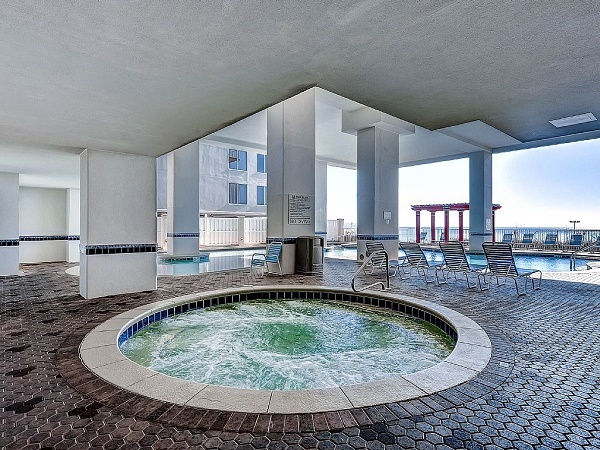 This condo was the perfect home away from home! We absolutely loved the 18th floor view of the Gulf and not to mention watching fireworks on the 4th was just as great! We will be back next year! This is the second year in a row we have stayed in this room. The condo is in a great location and we like the load unload area. 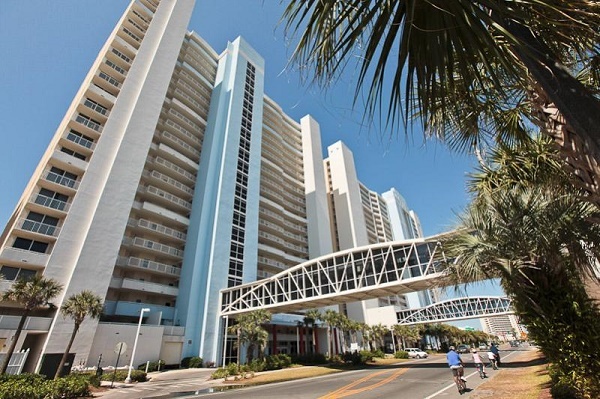 Once we arrived to our condo, it exceeded our expectations! It was beautiful, clean and we overall had an amazing experience! Pictures didnt do justice. A four star condo with 5 star service! This was a very nice place to stay. We will stay at this place again. Condo felt like home. All furniture was comfortable. Place was clean. Master suite was wonderful. Ice Maker did not work and made crazy sounds. Dish washer was not working properly. The view was beautiful. Kitchen is kind of awkward. But it works. We would stay again. Condo was very spacious. Really loved the huge shower in the master bathroom. Balcony view was breath taking. Elevators a little slow during peak hours. I didn't understand why we had to return the arm bracelets to Four Star Condo as we did not need them to swim in the pool during our stay. To return the them it was a 25min drive out of our way in returning home. We stayed in the 2nd tower on the 18th floor. I was a little skeptical about being that high up but it really was not bad at all and it came with great views! The rental process was very easy and the room was wonderful. The room was clean and spacious, the beds were very comfy, and the master bath was great! (One of my favorite parts! )The only downfall to me was the pool. Which is noting to do with the rental company or owners, I just wanted to leave this in my review because I wish I had known beforehand about the pool. It is a nice size but it is 95% covered. This is an outdoor pool, that closes when it rains, and I just wish it was fully open. 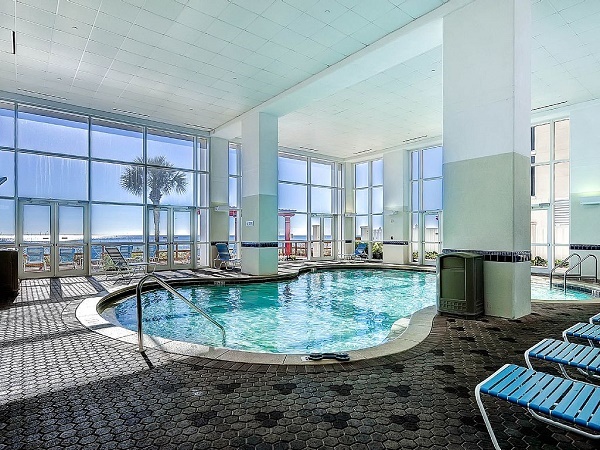 There is also an indoor pool in addition to this one. The Condo is beautifully decorated with the perfect touches. Very clean unit! Enjoyed our stay very much. I would highly recommend this Condo to anyone. 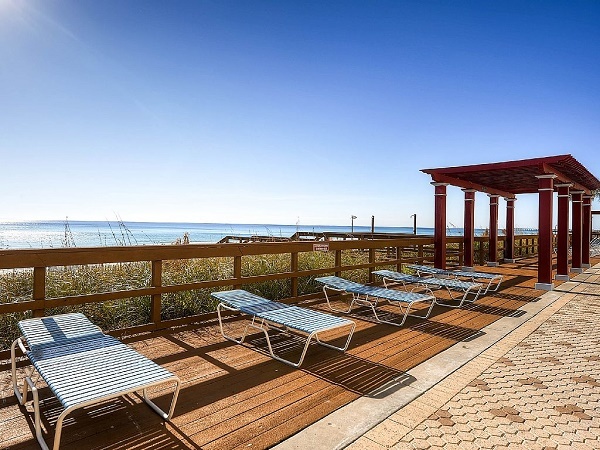 We would definitely reserve this same unit for any future visits to PCB. Thanks! Perfectly located condo for our event. Very convienant with the door code and no need for "check in" or keeping track of keys. Condo was a very comfortable stay and would definitely recommend/rebook in future. Adding a hair dryer and iron would be great, as those aren't always possible to pack on trips; in addition, leaving the pool arm bands in the condo after the stay. We had another great time at Seabreeze Jazz Fest! The Majestic was a wonderful place to stay. I don't however like the fact that we could not check in until 4...and check out was 10am!!!!! NOT A GOOD LOOK! This is the second year we have stayed in this unit. It is nicely decorated with every convience you could ask for. We did have some maintence issues that never did get taken care off. But it was the ice maker and we could live without that. The unit was quiet and comfortable. There are so many good restaurants nearby. We did enjoy The Wicked Wheel Restaurant many times. The unit is just the way it is pictured and described. Would recommend to a friend. We have already booked for next year. Captain Jacks Seafood buffet has the best crab legs ever!!! The hangout restaurant across the street from the resort has awesome shrimp po boys! Zoo world is small but great for young children who like to pet and feed animals!